The width of the berth of products varies from 70 cm to 1.8 m. You can choose from simple and inexpensive solutions, to exclusive author's designs. Forged elements, a combination with a noble tree, almost weightless designs and sturdy massive designs for every taste. 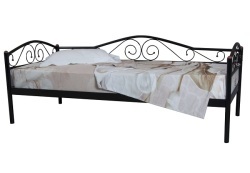 Therefore, a single metal bed in Kharkov, acquired in our online store, will bring real satisfaction, delighting with its chic appearance, durability and practicality. 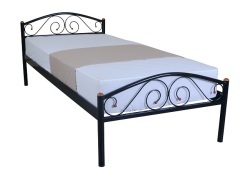 Regardless of whether you need a double metal bed or a single bed, you can find exactly what you were looking for in this catalog of our online store. On many models there is an action on free shipping. 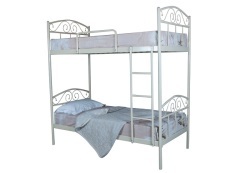 Also here you can buy folding metal beds, which economically allocate space in the room. 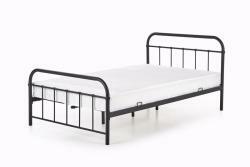 This type of products is durable, practical, aesthetic, and, undoubtedly, a bed with a metal frame will serve more than one generation of your family. 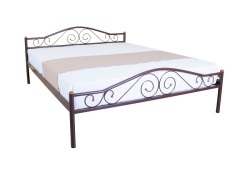 Thanks to a sturdy frame, such beds can withstand a considerable load, they are not subject to wear and cannot be broken. Coating frame and decorative elements are made of special powder enamels, which are odorless and look great. 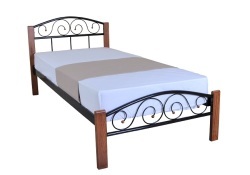 Unlike, for example, wooden beds, metal are not afraid of high humidity, direct sunlight. 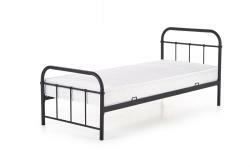 Therefore, a double metal bed really demonstrates perfect endurance. Among the main advantages of this product is an affordable price combined with environmental friendliness, a variety of color options and a long service life. They fit perfectly into the interior of the bedroom, look aesthetically pleasing and in harmony with the surroundings. 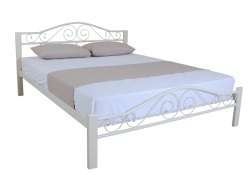 What style of interior would you choose, a single metal bed in Kharkov will occupy a central place in it. 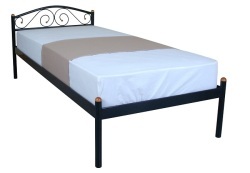 A metal bed will be a reasonable alternative for those who are looking for something original and exclusive. 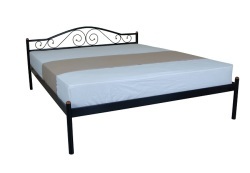 Performing its function and ensuring proper rest, the bed also gives a good mood and takes care of the correct location of the musculoskeletal system during sleep. We invite you to study the offers of the catalog and choose the best option. At your service are consultants of the online store, neat delivery services, assembly on site, as well as nice bonuses in the form of discounts and promotions. We regularly update the range of current models, following the latest fashion trends. We invite you to join our Facebook community and get more benefits from shopping in our online store. You will be the first to learn about promotions, updating the range and discounts on furniture that interests you. You can also ask us a question using the built-in message messenger on this social network.